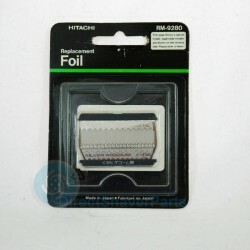 Hitachi replacement foils, cutters, parts and accessories for your electric shaver. Hitachi has retired shavers from market, replacement parts are becoming very rare. Hitachi There are 5 products. Quality replacement heads, foils, parts and accessories for your Hitachi RM-1500UD electric shaver. Quality replacement heads, foils, parts and accessories for your Hitachi RM1700UD electric shaver. Quality replacement heads, foils, parts and accessories for your Hitachi RM2400 electric shaver. Quality replacement heads, foils, parts and accessories for your Hitachi RM2401 electric shaver. Quality replacement heads, foils, parts and accessories for your Hitachi RM6013UD electric shaver. Quality replacement heads, foils, parts and accessories for your Hitachi RM6191U electric shaver. Quality replacement heads, foils, parts and accessories for your Hitachi RMX950 electric shaver. Quality replacement heads, foils, parts and accessories for your Hitachi RM6200 electric shaver. Quality replacement heads, foils, parts and accessories for your Hitachi RM1900 electric shaver. Quality replacement heads, foils, parts and accessories for your Hitachi RM1910 electric shaver. Quality replacement heads, foils, parts and accessories for your Hitachi RM2500K electric shaver. Quality replacement heads, foils, parts and accessories for your Hitachi RMF1000 electric shaver. Quality replacement heads, foils, parts and accessories for your Hitachi RM2300MKII electric shaver. Quality replacement heads, foils, parts and accessories for your Hitachi RM9046 electric shaver. Quality replacement heads, foils, parts and accessories for your Hitachi RM9050 electric shaver. Quality replacement heads, foils, parts and accessories for your Hitachi RM9060 electric shaver. Quality replacement heads, foils, parts and accessories for your Hitachi RM9200 electric shaver. Quality replacement heads, foils, parts and accessories for your Hitachi RM1920 electric shaver. 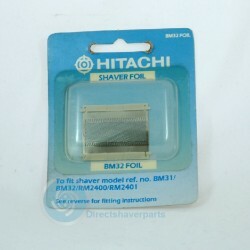 Quality replacement heads, foils, parts and accessories for your Hitachi RM1930 electric shaver. 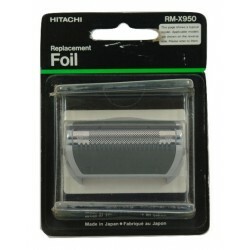 Quality replacement heads, foils, parts and accessories for your Hitachi RM1950 electric shaver. Quality replacement heads, foils, parts and accessories for your Hitachi RM2000UD electric shaver. Quality replacement heads, foils, parts and accessories for your Hitachi BM5200 electric shaver. Quality replacement heads, foils, parts and accessories for your Hitachi RM2000 electric shaver. 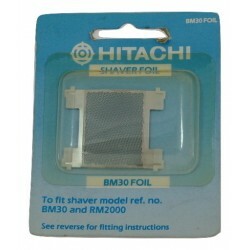 Quality replacement heads, foils, parts and accessories for your Hitachi BM30 electric shaver.